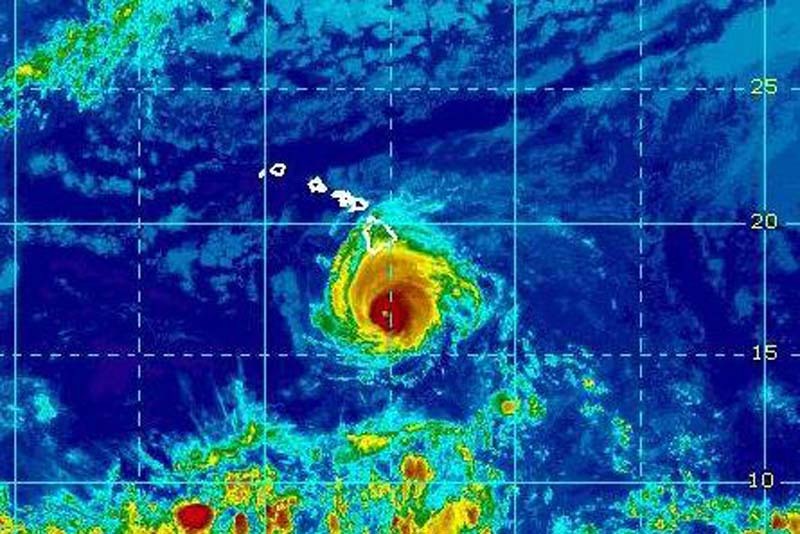 Meteorologists canceled a tropical storm warning in Hawaii as Hurricane Hector moved south of the Big Island on Wednesday, the Central Pacific Hurricane Center said. The center of the storm was located about 220 miles south of Hilo and 370 miles south-southeast of Honolulu, the CPHC said in its 11 a.m. HST update. It was moving west at 16 mph with maximum sustained winds of 115 mph. Earlier in the day, the center downgraded Hector to a Category 3 storm and it's expected to continue losing steam over the next couple of days. The storm was expected to travel west through Thursday with a gradual northwest turn expected Friday and Saturday. Tropical storm-force winds extend 90 miles from the center of the storm, and hurricane-force winds extend up to 25 miles. Swells generated by Hector are expected to reach the southeast and east shores of the Big Island and eastern Maui later Wednesday, and produce large and dangerous surfs.